It is one thing to love and respect your child’s individuality, but does your child feel love and respected? As a child, did you? 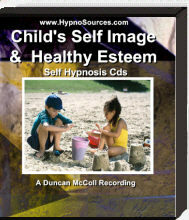 Would your childrens confidence help you and them feel better? The sooner a child’s inborn sense of self worth and identity is stimulated and developed, the better the child’s chances of making wise choices and finding health, success and happiness in life. These unique recordings are aimed at children approximately between the ages of 5 and 11 years. It helps with insight and understanding. The cd also helps promote the child’s self assurance and enthusiasm for schoolwork, study and exams enhancing enjoyment and promoting success.